Hope for Prisoners welcomes people from all walks of life to become a mentor. Mentors must be 21 years old and commit to being part of a long-term process. Are you ready to help transform a life? What does it mean to be a mentor? In Maslow’s hierarchy of needs, it is described as the highest level of achievement and transcendence to help others achieve their purpose. Mentors change lives. Mentors are at the core of the success that our clients experience. Our mentors are screened, interviewed, qualified and continuously trained while they are part of the program. Each client is offered the opportunity to participate in our 18-month mentoring program. A team of mentors works with each client to create and help them reach their goals using a variety of tools and techniques. The mentors also help clients to navigate the challenges they face during the reintegration process. Each mentor is also part of a mentor team, matched in general demographics and life experiences. A recent study conducted by the University of Nevada, Las Vegas found the mentor program to be a key component of HOPE for Prisoners success. Mentoring consists of one year of one-on-one sessions, peer-to-peer contact and ongoing support groups designed to provide clients with dependable assistance through reintegration. After one year of mentoring, clients are invited to participate in a six-month “mentornship” program designed to train them to become mentors, giving back by providing new clients with HOPE. 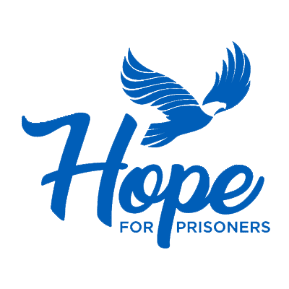 Hope for Prisoners commits to helping people successfully reunite with their families and reenter the workforce and our community.